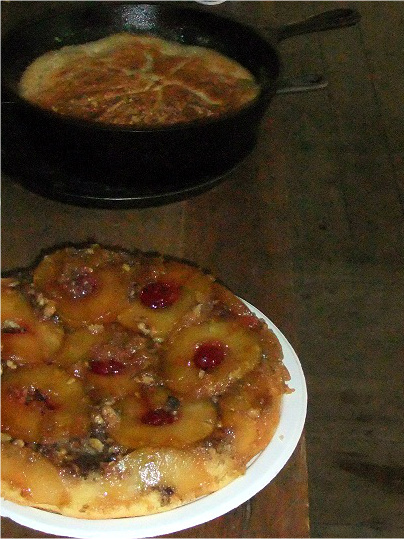 It is safe to say that guild members and visitors alike were charmed by the wood-stove cooking class and demonstrations held this past Saturday in the Balch house at Burritt on the Mountain. The class, which intended to focus less on historical accuracy and more on practical skills, was led by Guild member Kay Spanogle, who shared all the basics of wood-stove cooking with plenty of hands-on opportunities. Kay has been, as she would say, "campsite cooking" forever. 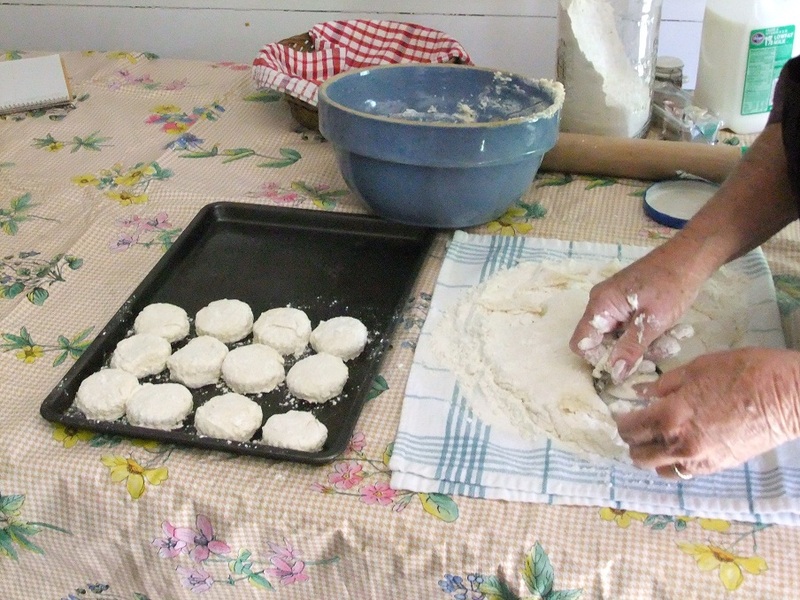 Only recently has she translated those skills to the wood-stove, and she won't hesitate to tell you it is all because of her mother, Vondie Johnson. 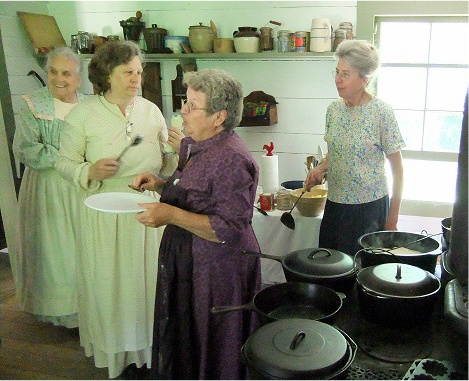 Vondie has been cooking up at Burritt on the Mountain for years. She is not only an expert on the wood-stove but is, hands down, one of the best cooks around. Anyone who ever has a chance to sample one of her homemade cakes, will find it to be an unforgettable treat. 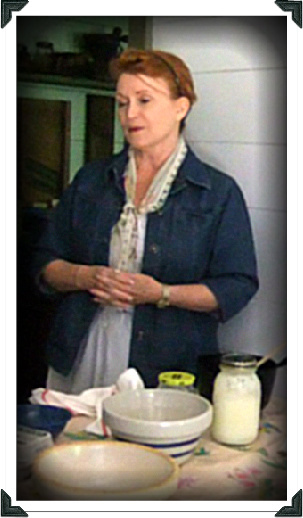 Her homemade apple butter is a personal favorite of many Cooking Guild Members. Thank you, our dear Miss Vondie, for inspiring your daughter and igniting in her such a strong passion to follow in your footsteps. As a tribute to her mother, Kay has assembled a book for the cooking group that is chocked- full of "need to know" information for wood stove cooks. 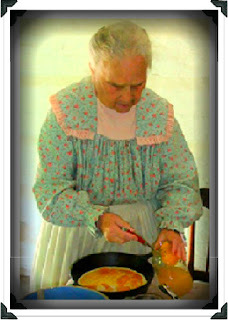 She has also given countless hours researching, planning, and practicing historic cooking. 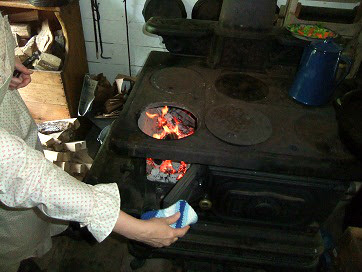 For several months, she has been spending many a Saturday in front of the Balch house's 1890's Glenwood stove perfecting her skills. 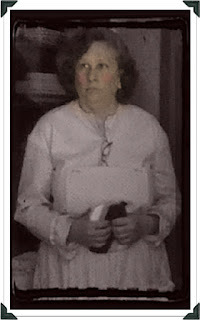 Luckily, Kay didn't have to do all that practicing alone. She has had the steadfast support of an equally dedicated group of ladies and gentlemen who embody all the charm and grace of the bygone eras portrayed at Burritt. They have given up Saturday after Saturday to help with cooking, toting water, loading and unloading supplies, ensuring a constant supply of "good wood" for the firebox and making certain that every dish meets strict standards for quality and taste. They have done it all with smiles on their faces and with only one request, "Save us a place at the table come dinner time". 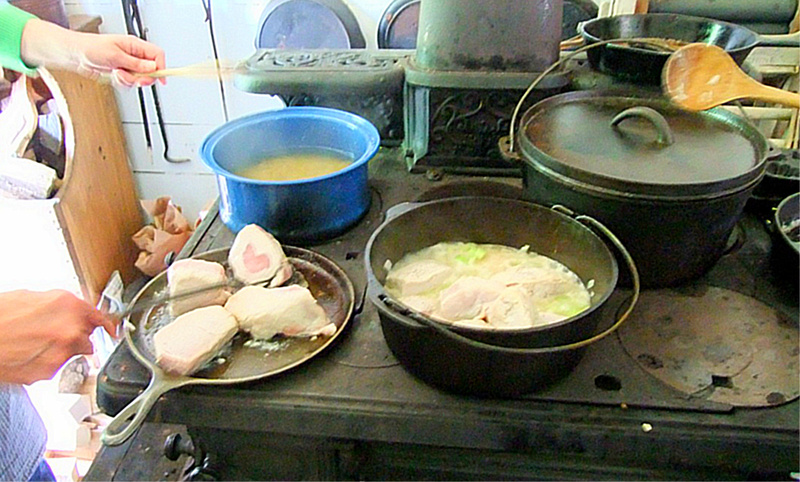 "Thank you," to all of those who sweated, toiled, and gained extra pounds all in the name of making the wood-stove cooking class a resounding success. Norm Howe, and Bill Nunn. Every day should start with a good breakfast. 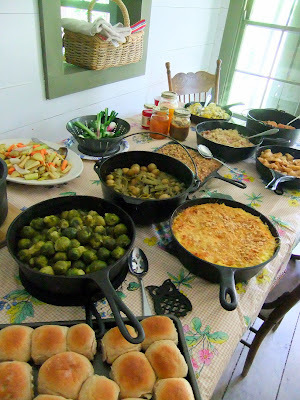 Ours was a simple yet hearty menu of vegetable frittata, bacon, sausage, biscuits, and whole wheat bread with fresh churned butter, homemade preserves and apple butter. .....and end with a good Dinner. Pork tenderloin, chicken and dumplings, sausage with sauerkraut, brussel sprouts, roasted vegetables, sweet potato casserole, squash, green beans and potatoes, fried apples, baked macaroni and cheese, pineapple upside down cake, peach cobbler, and hand cranked ice cream all graced the table with their presence. 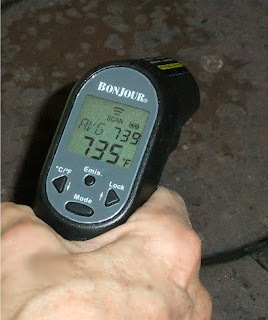 Every cook needs a fun gadget or two. and plenty of eager hands to make the work light. Too many cooks in the kitchen? Never with this group. The proof is definitely "in the pudding."